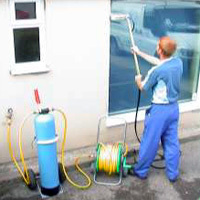 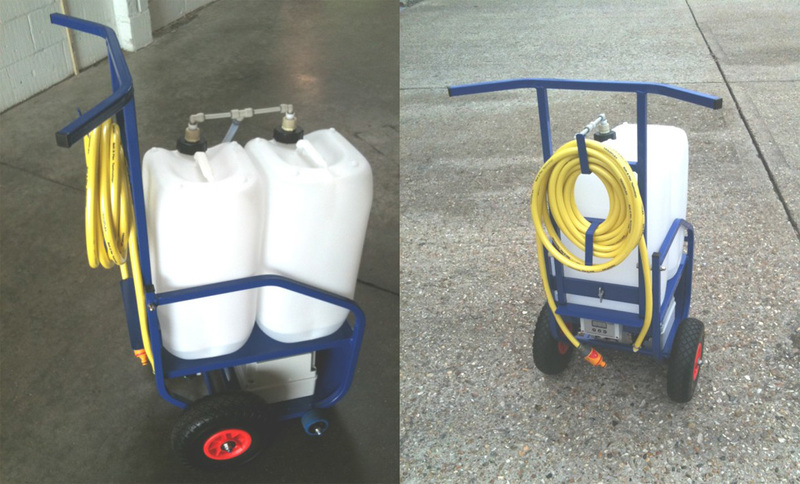 The Aquafactors Deioniser window cleaning trolley system can be used with any of our water fed poles. 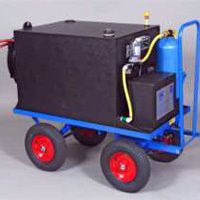 The system includes a pressure cylinder containing 25 litres of deionised (DI) resin. 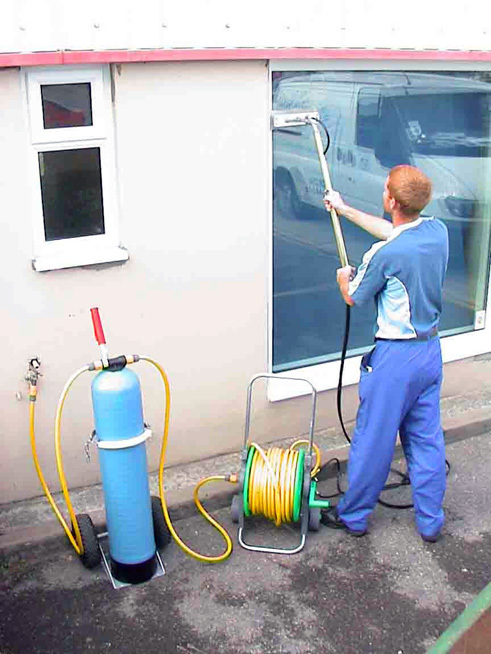 This produces a 99.9% pure water when connected to any outside tap. 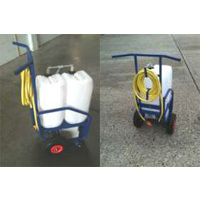 Most tap pressures are sufficient to provide the right flow to the brush head. 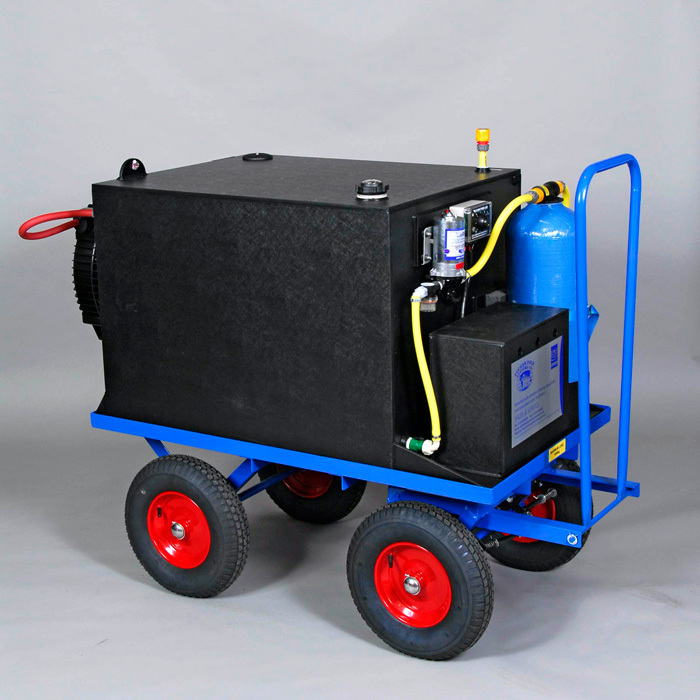 The cylinder is mounted on a two wheeled cart and the system comes complete with all hose connections, a 50 metre reel of hose and a total dissolved solids (TDS) monitor to measure the water purity.